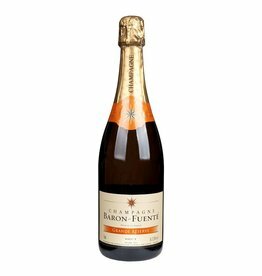 The Grande Reserve Brut by Baron-Fuenté is made from the three most cultivated champagne grapes, albeit in a more unusual blend with 60% Pinot Meunier, 30% Chardonnay and 10% Pinot Noir, grown on calcareous soils on the banks of the Marne river. 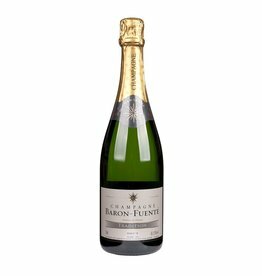 Citrus notes, brioche, white fruits and peach characterize the fragrance. 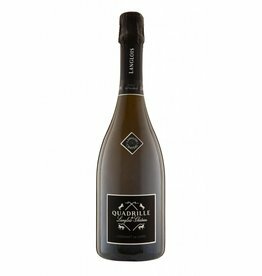 The palate is full, classy and balanced, the perlage is fine and persistent. 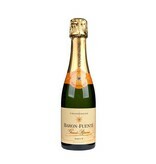 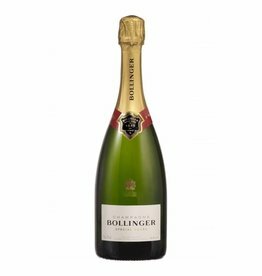 The Wine Spectator awarded it 91/100 points and calls this champagne "elegant and mouthwatering".